As you may already know, I LOVE salads!! They are my favorite summertime side dish. This 5 Bean Salad turned out especially good! I love the tartness of the vinegar based sauce. It goes perfectly with the rest of the ingredients. If you don't like some of the beans used in this recipe, you can definitely substitute with your favorite beans! This recipe is a winner. Both my sister and I ate a few servings of it with our meal! Yum! This recipe was created using ingredients from Del Monte! Thanks to my sister, Shannon for taking the photo for this post! You can visit her blog Speaking in Plain Shamish here! Drain and rinse the cans of beans and corn. Combine all beans, corn, red pepper and onion in a large bowl. In a separate bowl, whisk together the vinegar, oil, sugar, dill, salt and pepper. Add to veggie mixture and mix. Refrigerate at least 4 hours before serving to allow flavors to combine. Hi, thanks for sharing this recipe. I love bean salad and this one sounds like a winner. I have not eaten 5 bean salad in a long time! Thanks for reminding me that I love it! Thanks for linking this recipe up to the In and Out of the Kitchen link party. I can't wait to see what you bring next week! 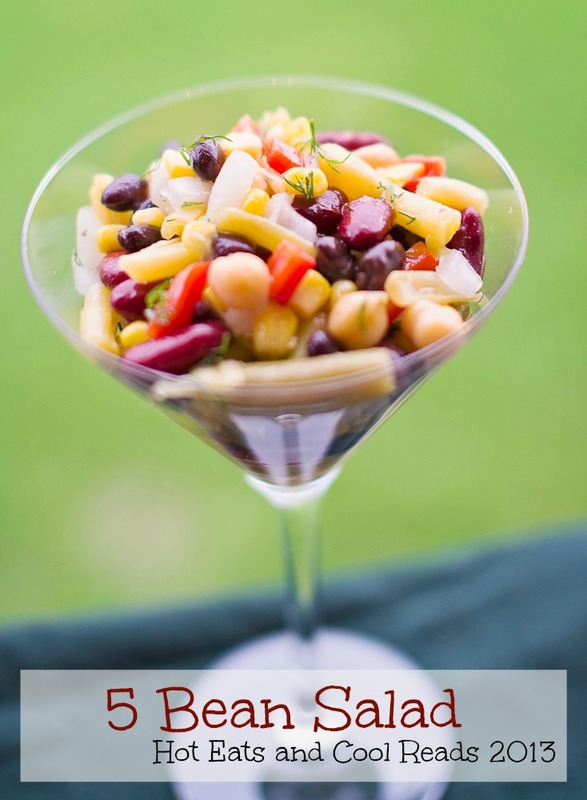 We just love a Bean Salad and your recipe looks awesome. Thank you so much for sharing with Full Plate Thursday and have a fabulous weekend. Delicious. I use this recipe all the time. I add all types of beans and corn niblets too.